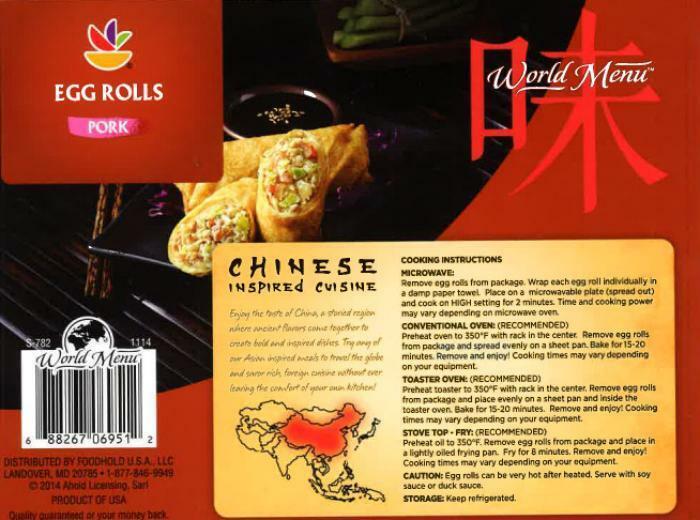 Water Lilies Food of Astoria, N.Y., is recalling approximately 1,710 pounds of egg rolls. The product contains shrimp, an allergen not declared on the label. Additionally, it was mislabeled as pork egg rolls, when in fact, shrimp egg rolls were packaged. The recalled product, bearing establishment number “EST. M21465A” inside the USDA mark of inspection, was shipped to a distribution center in Westfield, Mass. Consumers with questions about the recall may call 888-387-7669.